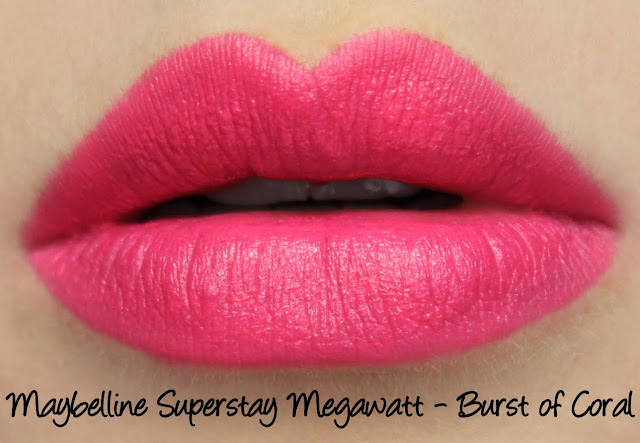 I can rarely resist the siren song of bright lipstick and Maybelline's Superstay Megawatt lipsticks were no exception. These lipsticks promise a fourteen hour wear time and the rich colour pay off of the regular Megawatt line with 'high voltage electric pigments'. I picked up three shades to try out. 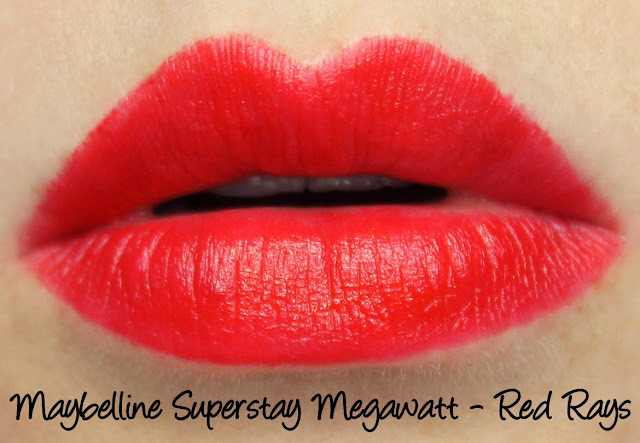 The Superstay Megawatt lipsticks come in the same packaging as the regular Megawatt lipsticks: the bottom of the lipstick tube matches the colour inside and it's topped off with a white glossy cap. 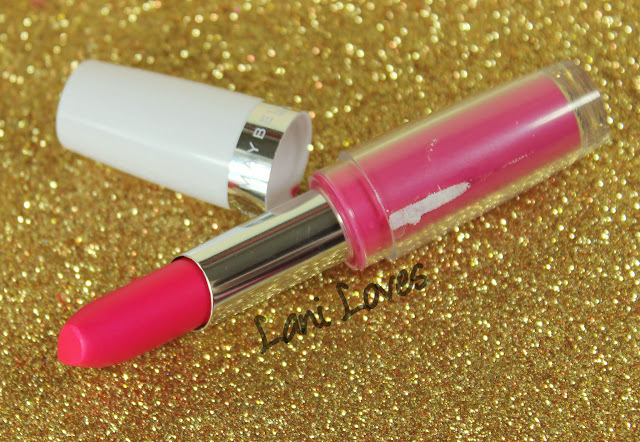 The lipstick bullet is a chubbier, blunter version of a traditional teardrop style, with the pointed tip making it very easy to apply the colour, I applied these swatches neat from the tube instead of using a lip brush as I often do. 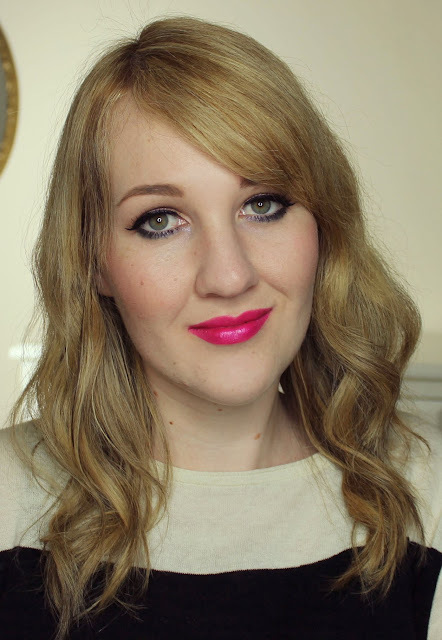 Like many long wearing lipsticks, the Superstay range have a slight tackiness that is supposed to help them adhere longer but can feel a bit strange if you don't usually wear such lipsticks. 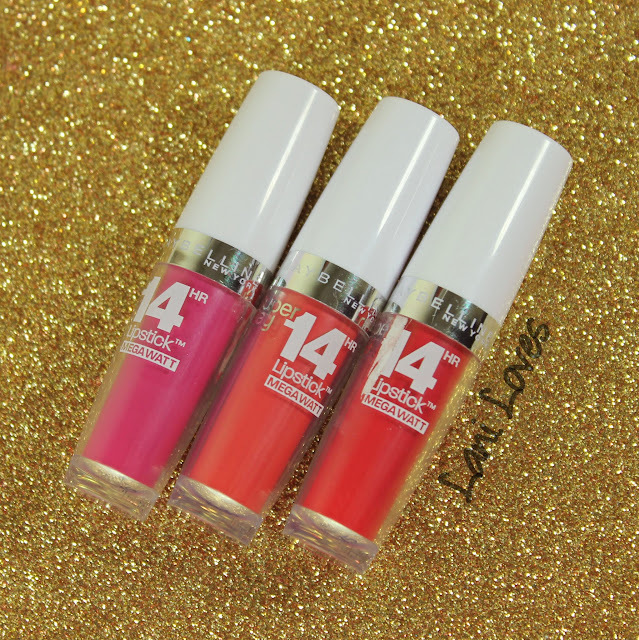 Maybelline promise a 'lightweight formula with no dragging' and they do apply smoothly and feel light on the lips, but the overall texture is a bit thicker than your average creme lipstick. 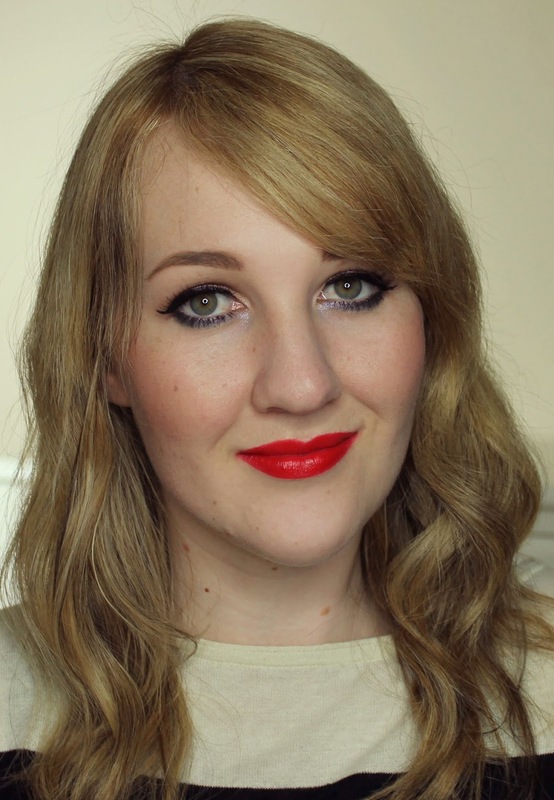 The three shades I tested had incredible colour pay off with only one of them (Burst of Coral) having any streaking issues. None of them feathered or migrated over the course of wear but they all fell significantly short of the advertised fourteen hour wear time, lasting between four and six hours. 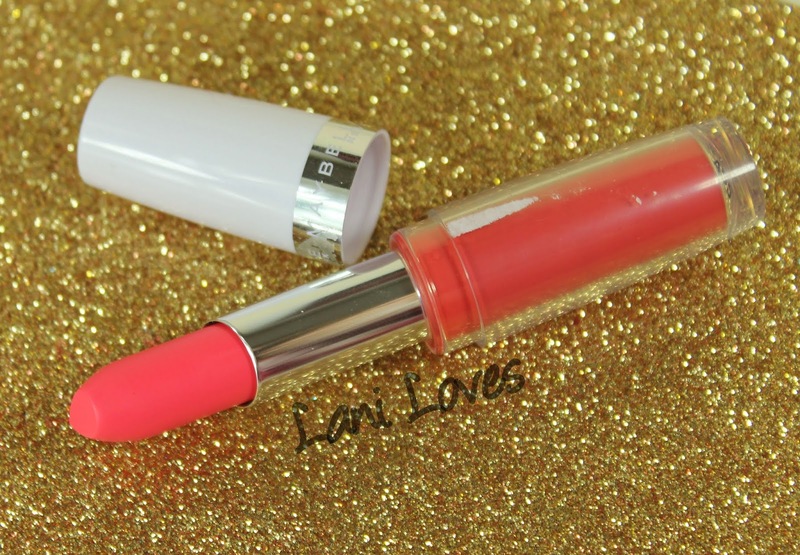 These lipsticks have a sweet, citrusy scent. 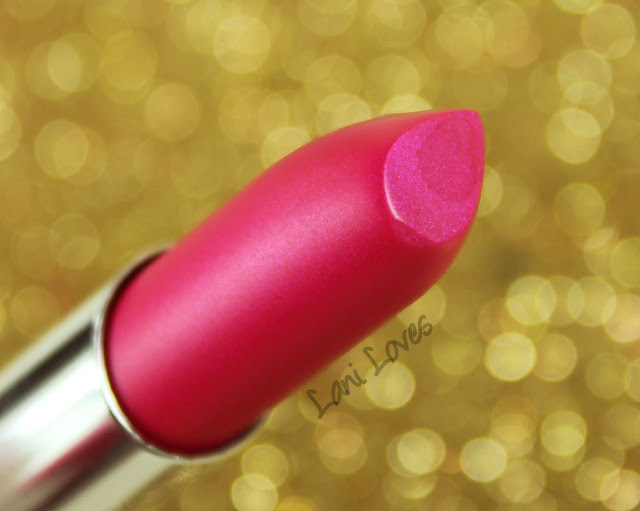 Flash of Fuchsia is a hot pink with fine violet shimmer. 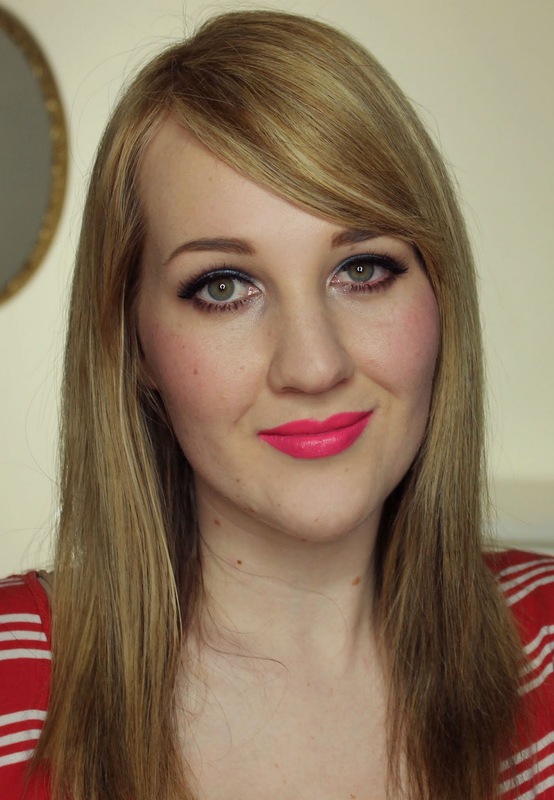 This is such a fun colour and I can see myself wearing it a lot in the coming summer months! It wears for just under four hours without drying out my lips or feathering and leaves a stain. Burst of Coral is an ultra bright, almost neon coral with mostly opaque colour pay off. 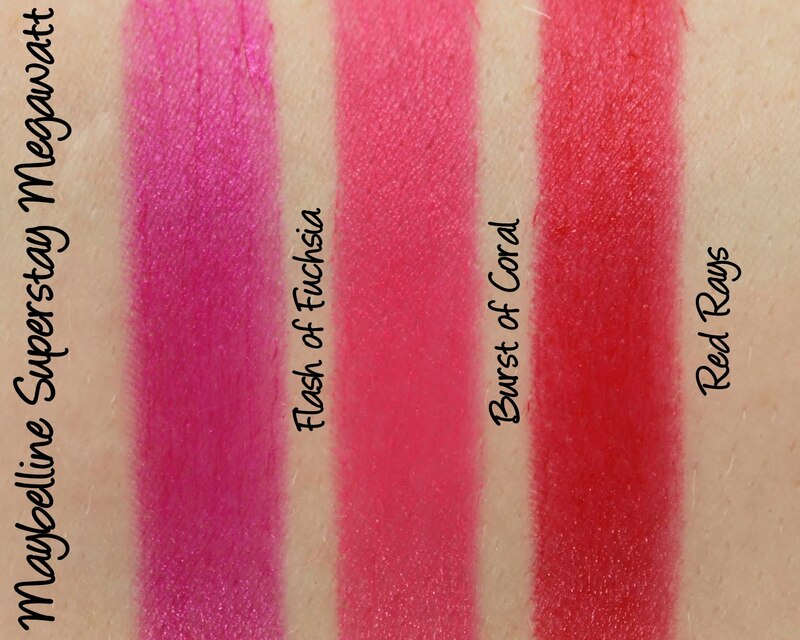 It was prone to streaking during application and so took a little more fussing to get even, a shame as I absolutely love the colour! 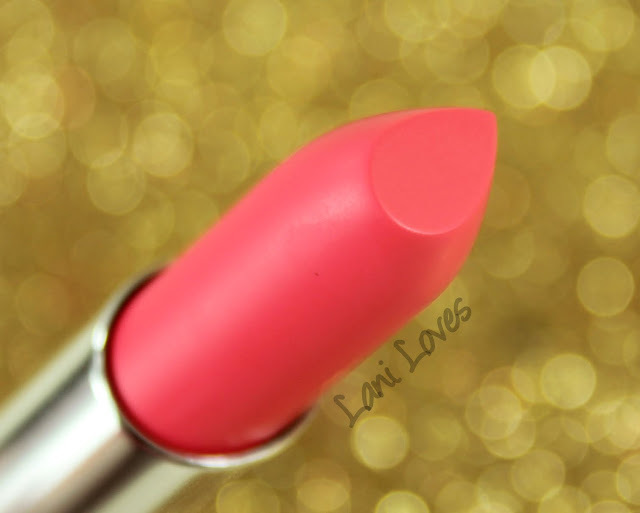 Burst of Coral wears for just under four hours and isn't drying. 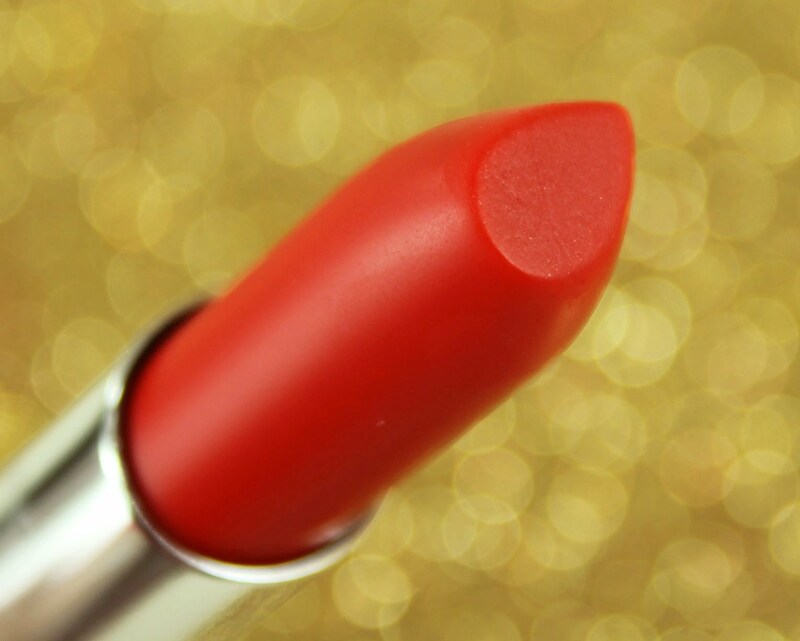 Red Rays is a vivid fire engine red with warm tones. 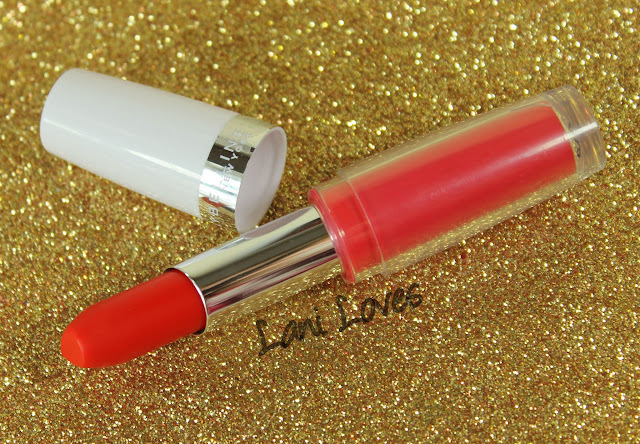 I never get sick of this kind of red! It wore just over six hours without feathering, was lightly drying and left a stain. Wore for four to six hours - significantly under the fourteen hour wear time, which although unrealistic, is what the brand is advertising. 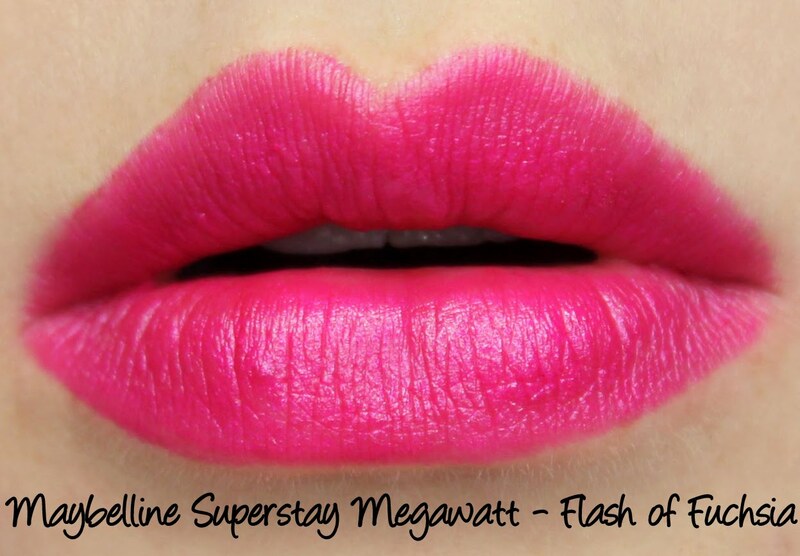 Have you tried the Superstay Megawatt lipsticks?